The political and legal system of Apartheid in South Africa enforced a regime of racial oppression and segregation from its inception in the mid 1900's until the democratic election of 1994. Apartheid forced thousands of black South Africans to migrate to 'black homelands', losing their livelihoods or jobs in the process. From 1990-1994 the Black Homeland state of KwaZulu-Natal was embroiled in a surge of political violence as the first democratic election for South Africa was arriving. 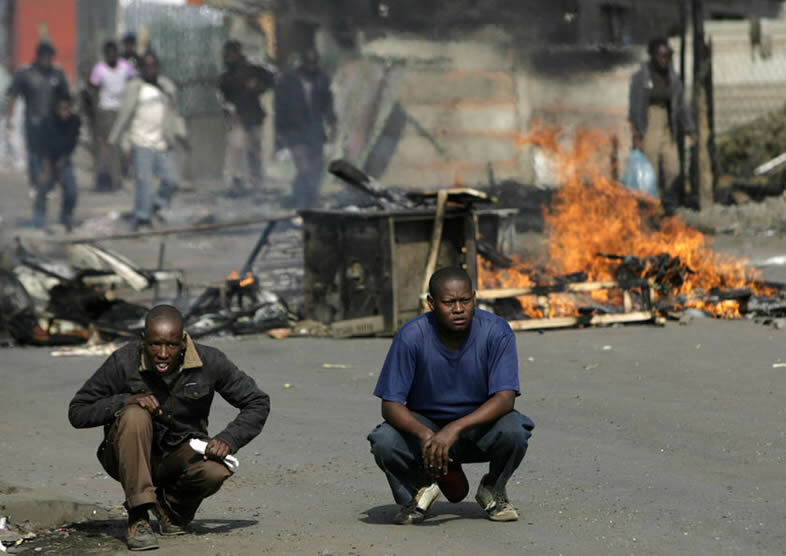 The violence swept through the area on numerous occasions and took thousands of lives as fighting between the rival parties of Inkatha, United Defense Front (UDF), and African National Congress (ANC) broke out in the cities and townships. Below the political motivations for and against racial injustice, sovereignty and power lay the fact that after 30 years of Apartheid the land of KwaZulu-Natal was severely degraded due to land erosion and mismanagement. This case study will analyze how the deteriorating environmental landscape could have contributed to the political violence that engulfed the area for four years. KwaZulu-tribe elder in traditional clothing. After WWII the National Party, a white pro-segregation party, was elected to power and began introducing racial legislation in earnest. In 1949 the Mixed Marriages Act became law, prohibiting the union of whites and blacks in any marital union. In 1950 the Immorality Act made it a crime for any white to have sexual relations with any other race, and the Population Registration Act required all persons living in the South Africa to register their race, and any child being born would immediately be registered according to their color/ethnicity. Numerous other acts were introduced in the following years to limit the economic, political, and educational opportunities of black South African citizens. This series of Apartheid acts culminated in the Promotion of Black Self-Government Act in 1958, and the Black Homeland Citizenship Act of 1971 (Apartheid 2011). 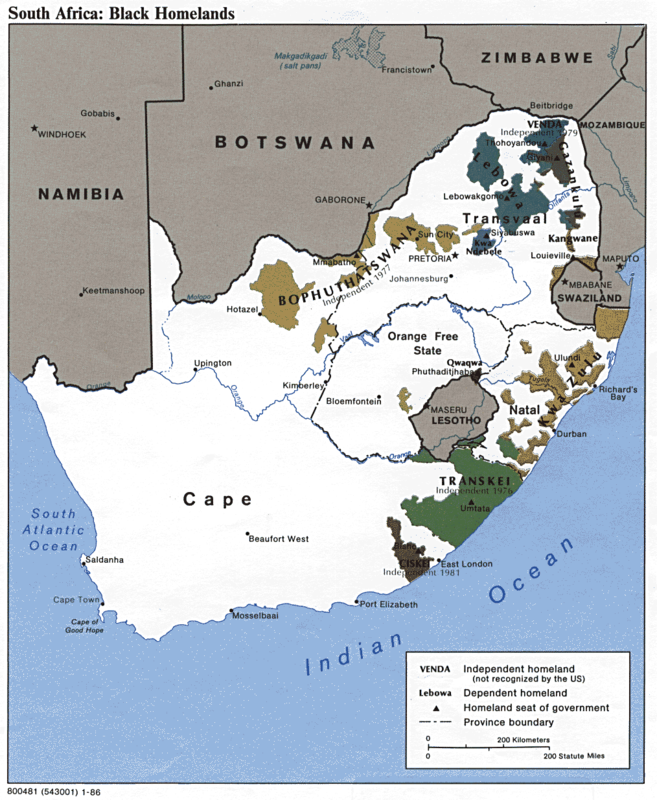 The self-government act created 10 areas in South Africa that would serve as 'Homelands' for the black South Africans. The Homelands were distinguished from each other according to the type of African tribe that originally lived there, and it was expected, and enforced, by the S.A. government that all black South Africans would return to these areas. The Transkei tribe would return to the 'Transkei Homeland', or the Ndbele tribe would return to the 'Ndebele Homeland'. The citizenship act of 1971 officially declared that all black South Africans would no longer have South African citizenship but become citizens of their Homeland (Apartheid 2011). 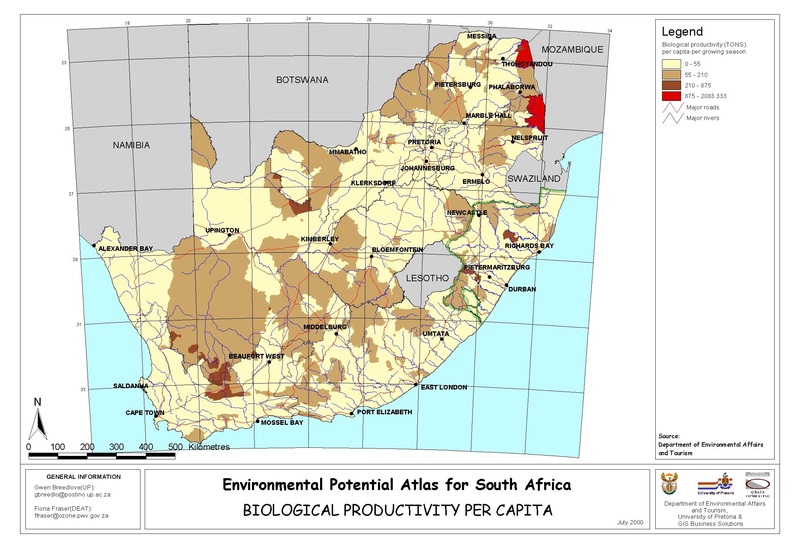 The focus of this study concerns the Homeland state of KwaZulu-Natal. Created in 1958 to accommodate South African blacks of Zulu origin, the state is nestled on the south-eastern coast of South Africa. KwaZulu-Natal is one of the most populous regions in South Africa and has been for much of the 20th century. 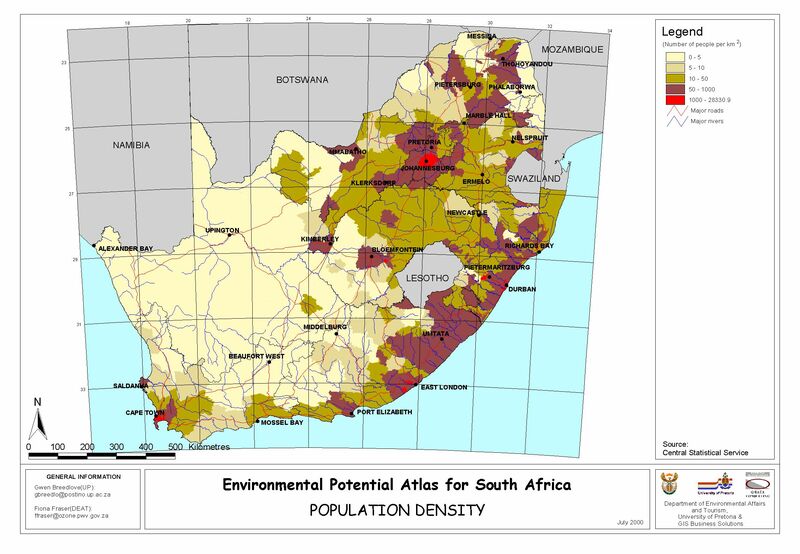 KwaZulu Natal is the focus of this case study because of the effects of land degradation brought onto the area by forced migration and subsequent overcrowding. This land degradation caused endemic poverty and exacerbated tensions that flared into bloody conflict from 1990 to 1994 between rival political factions in the region, the Inkatha, the United Democratic Front (UDF), and the African National Congress (ANC). The study will first look at the type of conflict that took place from 1990-1994, and then examine the environmental effects that Apartheid caused and influenced the violence that took place in that same time period. The regime of Apartheid lasted from 1958 to 1994 in South Africa. 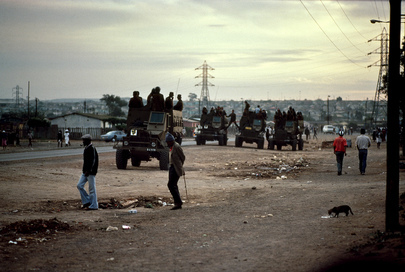 Violence and conflict occured throughout this period but in KwaZulu-Natal the fighting was fiercest between 1990-1994. The violence that occured between 1990-1994, and the environmental degradation that occured in the decades leading up to that time, took place in KwaZulu-Natal, a state in the southeast of South Africa touching the Indian Ocean. Fighting occured in the major cities of Pietermaritzburg and Durban as well as in smaller towns throughout the area. The main actors for degrading the environment was the South African Government for the forced relocation of thousands of Black South Africans to KwaZulu-Natal. These new migrants lacked the knowledge and the capital to take care of their environment as they attempted to live under the auspices of Aparthied. The main actors in the violence was the Inkatha Freedom Party, and the United Democratic Front under indirect leadership of the African National Congress. A secondary actor was the South African Government for the promotion of Aparthied policies and its continuing subversion of homeland politics until 1994. The Republic of South Africa is a beautiful and inspiring landscape where tourists encounter exotic fauna and flora can have their breath taken away by the majesty of Cape Town's embracing mountains or by the crash of the Mighty Atlantic on the Cape of Good Hope. But despite the beauty of its surroundings, South Africa has never had much arable or truly productive land. It is the southernmost country of a continent that, excluding a belt of tropical forests near its center, is a land characterized by aridity. Before Apartheid South Africa had its share of environmental problems, as do all nations. 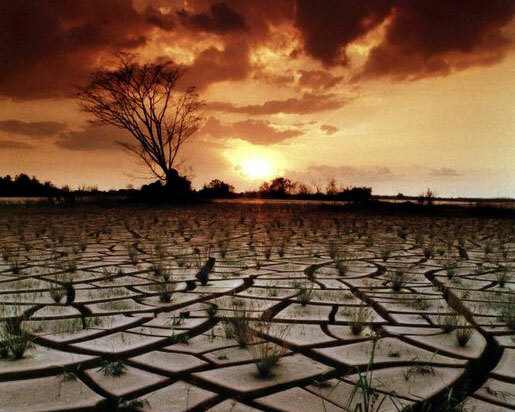 The country struggled with soil erosion, drought, water scarcity, and pollution. How South Africa is different than other nations is that it carried out racial policies that resulted in an assault on already precarious natural resources. With the Land Act of 1913 Whites came to possess 87% of the land and blacks could only 'own' an area that consisted of 13% of the South Africa. Naturally, White farmers got the pick of the most productive areas and blacks could only situate their farms on marginal land (Durning 1990). 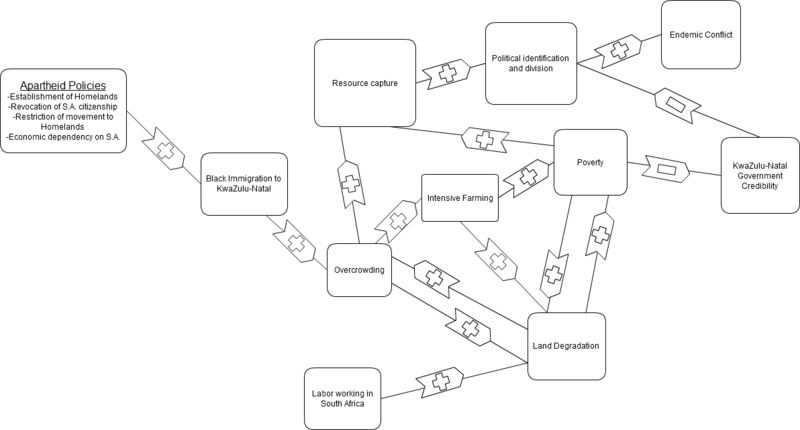 Apartheid did a number of things to reduce the capability and productivity of the land: It forced blacks to use already marginal land, it caused overcrowding and resource scarcity, decreased the amount of available labor to help support farms and townships, and created widespread poverty (Durning 1990). These factors are linked and reinforce one another in a spiral that degraded the local environment beyond its capacity and played a role in the violence of 1990-1994. The areas chosen to become the €œHomelands € were in part based on the Land Act of 1913. As mentioned, the black areas were already on marginal lands and the borders of the Homelands were drawn with care not to include natural resources, valuable mines, lakes and rivers. The original territory of the KwaZulu tribe likely stretched from the coast of the ocean across the Natal state, but the KwaZulu €œHomeland € was a patchwork of loosely connected geographical locations that purposely exclude any land or infrastructure of value (See map of Homelands) (Durning 1990). Marginal lands are lands that have a thin topsoil and are not resistant to erosion. In its natural state the land is stable and could support the local wildlife, but at the slightest disturbance these lands degrade very quickly. Furthermore marginal lands are rocky and have uneven terrain, making farming difficult and the soil itself devoid of nutrients. It is also typical of these areas to receive less precipitation than normal (Durning 1990). The lands allocated to the Blacks were poor in substance to begin with but Black farmers had no choice, they had to cultivate and attempt to tame the land if they were to survive and support their families. The Apartheid policy of forcibly migrating millions of blacks to the homelands began after the Promotion of Black Self-Government Act in 1958. The influx of new and poor residents into the KwaZulu homeland strained it to the brink. In 1990 more than half of the country's majority black population (around 16 million people) which represented 37% of South Africa's total population was forced to live on 13% of its most marginal, least productive land, and they could not leave (Durning 1990). The population density in these areas easily reached 10 times the population density of white areas (Percival & Homer-Dixon 1998), and the heavy pace of human traffic, large footprint of waste, and the increased efforts of subsistence farmers to improve their crop yield by overexerting their land caused the already unproductive lands to degrade even further. It was estimated in 1990 that South Africa has irretrievably lost 25% of its topsoil and 55% of the country is under threat of desertification. This results in an annual loss of more than 400 million tons of soil per year (Percival & Homer-Dixon 1998). Overcrowding seriously taxes the infrastructure of a city or urban area and results in a mismatch of service and food supply to the demand. One particular case was the lack of adequate electricity to the homes of the Black Homelands so families would cut down nearby forests in order heat their homes or cook meals. This resulted in widespread deforestation, and a lack of trees loosens the soil enough to be more easily blown away by the wind or washed away in floods, increasing soil erosion. The "Promotion of Black Self-Government Act" allowed South African police to force Black South Africans into "Resettlement Villages" in their new homelands. Population density was high due to movement restriction and poverty. Black homelands suffered from a lack of labor. Although the black population had the highest percentage of employable youths in its workforce, they would always work in the white-owned cities, mines and factories as low-level wage earners. There simply was not enough work for them to stay in the Black Homelands, and this was by design of Apartheid policies. The advantages of the Black Homelands to the crafters of Apartheid was that South Africa would be guaranteed a steady flow of cheap labor as long as the Black Homelands were kept economically dependent on the Republic of South Africa (Percival & Homer-Dixon 1998). South Africa would also not have to worry about passing any type of minimum wage laws or legal rights to the workers because they were not technically South African citizens. The lack of labor in the KwaZulu Homeland meant that there was no opportunity for domestic businesses to start or for Black farmers to get help making their fields more economical and environmentally sustainable. (Durning 1990). South Africa's abundant natural resources made employment in mining and resource refinement more profitable for black South Africans than farming or working in their own homelands. 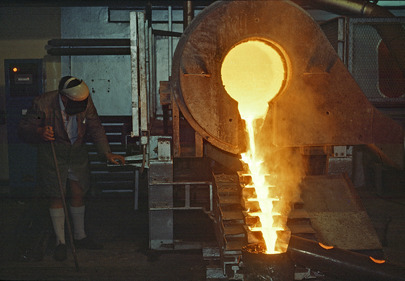 Despite the low wages and unfair labor conditions, hundred of thousands of KwaZulu residents traveled to white-owned gold mines like this one to earn their living. This leeching of the labor force and the inability of KwaZulu Natal to become economically independent enabled extreme poverty to grip the lives of all the black residents of KwaZulu-Natal. 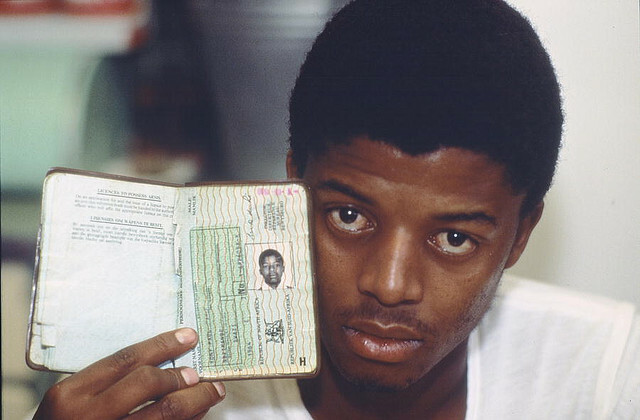 The intense poverty barred young blacks from attending school in order to go to work in South Africa for less than $100 per month (Durning 1990). Over 50% of the black population was illiterate, compared to a 99% rate of white literacy. This not only relegated them permanently to doing cheap manual labor but prohibited them from using educational resources and tools to manage their lands better. With only $150 of disposable income per year, the average black farmer could not afford to rotate crops, fence in grazing areas, terrace fields to slope properly, or plant trees to prevent wind erosion (Durning 1990). The Homeland government was also so cash-strapped that it could not offer any assistance to help prevent land degradation, eventually all of the homelands reported a steady loss of crop yield year after year. In the Homeland of Bophuthatswana, the crop yields decreased since the 1940's from 110kg of maize and sorghum per person to 50kg per person in the 1970's (Durning 1990). In KwaZulu-Natal the situation was undoubtedly worse due to pre-existing erosion and a higher population density than Bophuthatswana. These four interrelated results of Apartheid policy helped to negatively change the climate and environment in KwaZulu-Natal and mired Black South Africans in a trap of despair and misery. KwaZulu's habitat is largely grassland and savanahh. There are two major cities, Durban and Pietermartizburg, with 4.5 million and 500,000 people respectively. Closer to the coastal areas there are more fertile lands, and the region bordering Lesotho and Swaziland are more hilly in topographical makeup. 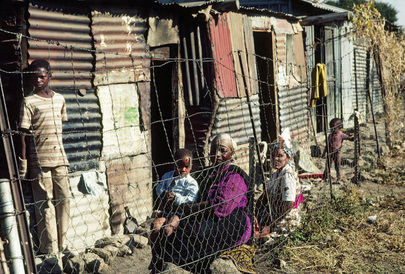 As it concerns the reason why overcrowding and poverty existed in KwaZulu Natal as a result of Apartheid policies, the Act site is the South African Government in the Capitol of Johannesburg. The Harm site is KwaZulu-natal, especially the black homeland areas and townships were environmental degradation was most acute. However if viewed strictly from a regional standpoint the Act and Harm take place in the same areas of KwaZulu-Natal. 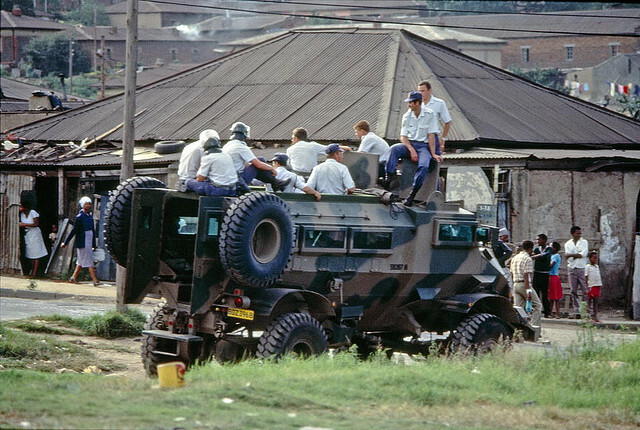 A South African Military 'Casspir' armored personal carrier and military police stand watch over a black township during Apartheid. The conflict in KwaZulu Natal consisted of two main antagonists with a number of supporting actors. The crux of the fighting from 1990-1994 was between the Inkatha Freedom Party (IFP) and the United Democratic Front (UDF). During the long reign of Apartheid violence did occur in various parts of South Africa, with famous incidents like the Sharpeville massacre of 1960 or the Sowento student uprising of 1976. These violent incidents were directed squarely at the Apartheid regime and differed from the fighting in KwaZulu-Natal which was primarily between rival political parties. The Inkatha was created and led by Chief Gatsche Buthelezi, who was the head administrator of KwaZulu-Natal when the Homeland Acts had begun in 1960 (Smith 2002). Buthelezi attempted to rally the people of his new nation into a unified country, and he adopted many of the policies of the African National Congress, which was the primary force against Apartheid and the party of Nelson Mandela, into his own political party. However, as the ANC become frustrated with the political system that had become more and more closed to people of color, they decided to resort to more militant tactics (Smith 2002). 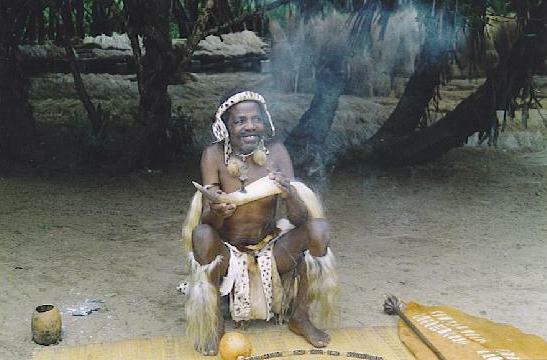 Chief Bethelezi decided against taking a more militant stance and split with the ANC. After the ANC was banned by the South African government from taking part in any politics with the homelands or South Africa, the ANC was represented by the United Democratic Front (UDF) in KwaZulu-Natal. The Inkatha came to represent a Zulu-nationalist agenda; attempting to strengthen the state of KwaZulu under Zulu sovereignty and independent of the white government, although Inkatha was accused numerous times by the ANC/UDF of colluding with the South African government to discredit opposition parties, incapacitate labor movements, and more in order to receive financial support (Hamilton & Mare 1998). The ANC, and by extension the UDF, were soon branded as communist parties by both the Inkatha and the South African government. The Inkatha attempted to assimilate all townships and cities into their vision of a strong Zulu society and these efforts were resisted by members of the UDF. When Nelsen Mandela was released and overtures of the impending dismantlement of Apartheid was sensed in 1990, the tense rivalry turned into a scramble to recruit more supporters and strike the opposing party in order to accumulate the power needed to determine what post-apartheid South Africa would look like (Percival & Homer-Dixon 1995). Inkatha and UDF supporters fought each other with sticks and stones, pistols and automatic weaponry. The battles were waged in the cities before being pushed out to the townships, where battle lines were drawn and identifying with the wrong party would invariably lead to death. The casualty and fatality figures rose into the thousands for each passing year until 1994, when elections granted South Africa its first breath of freedom. The level of conflict in KwaZulu-Natal ranged from targeted political violence to the brink of civil war. As such it can be termed as a level of intensity that ranged from low to high throughout the 4 years leading up to the elections of 1994. It is estimated that 14,000 deaths and 22,000 casualties occured between 1990-1994 in South Africa due to political violence, with 90% of those occuring in KwaZulu-Natal. The number of deaths increased in the months up to the election, with an average of 460 deaths per month occuring in the 10 months before the election in 1994 (Human Rights Committee 1997). 90% of the deaths were atributed to vigilante-style activity as the two political parties engaged in a series of attacks and counter-attacks in villages, tribes, and cities. Many deaths also occured when civilians were caught in indiscriminate crossfire between the two clashing groups (Human Rights Committe 1997). 600 deaths were the direct cause of South African police intervention in white-owned areas and clashes between protestors and security forces in Durban and Pietermaritzeburg, among other cities (Human Rights Committee 1997). 173 deaths were believed to be acts of state-sponsered assasinations carried out by ultra-rightwing paramilitaries of key figures in the black homeland government and political parties (Human Rights Committee 1997). The step from peaceful protest to armed aggressive violence is not made easily. The specter of attacking and positioning oneself in the way of danger in order to achieve or promote a political idea is only considered if the situation is dire and miserable enough that death or injury is better than the continuation of the status quo. Thomas Homer-Dixon of the University of Toronto elucidates in a study a variety of contextual factors that can drive disenfranchised groups to retreat from civil discourse and protest to armed and lethal violence. These factors are: the balance of political power, the nature of state institutions, and economic relations among social groups (Percival & Homer-Dixon 1998). When the conditions of these factors align with components of environmental scarcity, violent conflict is likely to develop. The balance of power in South Africa was massively tilted in favor of the white minority population. They controlled 87% percent of the land and earned more than 10 times the amount that a black worker could expect to earn (Southall 1984). Not only economically, but the political systems was entirely composed of whites and the military was formed with white troops loyal to the government. In all aspects of the Republic of South Africa the minority white population was firmly in control. KwaZulu-Natal was called an independent nation but in reality it was dependent on massive subsidies from South Africa that enriched the black elites in KwaZulu-Natal and allowed them to run their government apparatus in KwaZulu-Natal. The Homelands were not democratic and the leaders of each one were either personally corrupt or had members in their administration that were (Southall 1984). In total, the balance of power was skewed heavily first towards the white population, and then toward black elites in control of the Homelands. This rigged scale left the population of blacks living and working in the homelands and South Africa with little to no power. State institutions in KwaZulu-Natal were intentionally left weak by the policies that created them in order to ensure a cheap and profitable exploitation of labor by South African whites (Southall 1984). The security forces of the KwaZulu-government were the very Inkatha forces that terrorized and fought the UDF. There was little recourse to legal restitution and justice and since most of the KwaZulu-Natal government was subsidized by South Africa, there was a pro-apartheid bias inherent in governmental institutions (Southall 1984). The economic relations between the two main groups in KwaZulu-Natal were practically non-existent. The UDF and Inkatha groups had no internal trade or transfer of finances before violence broke out in 1990. An existing economic interaction can prevent open hostilities from developing because there are possible economic losses that can accrue due to the loss of trade between the constituent parties. This was not the case in KwaZulu-Natal, as both parties from their inception were diametrically opposed to each other and did not have any links that would mitigate hostilities. As the level of land production decreased, farmers and their families had to move to villages and towns to take lower-paying jobs and by 1988 only 5% of farms in KwaZulu-Natal had the means to support themselves (Percival & Homer-Dixon 1998). However, due to the poverty already ravaging these towns, only 16% of the rural population in KwaZulu-Natal could find formal jobs, leaving the rest unemployed or forced to participate in illicit activities. Unemployed and poor families then tried to move to urban centers to gain unemployment, but the migration of these people to the even more densely populated city centers contributed to resource capture by groups that could use force to retain access to water, energy, and services in the lawless urban areas. These urban migrants existed in informal shantytowns on city outskirts. Half had no access to running water and 70% had no access to electricity (Percival & Homer-Dixon 1998). Both the Inkatha and the UDF used this sad state of affairs to their advantage. The unemployed black population could readily compare the differences in wealth between themselves and the whites in the city, and being a part of a stronger group would enable a better ability to take control of ever-diminishing resources. The Inkatha and UDF recruited these people in order to influence the upcoming elections. The more recruits each party had, the more votes could be cast in their favor and the more power they would wield in the post-apartheid environment. The recruits joined because they could no longer survive on their own. Even if they did not strongly believe in the goals of the Inkatha or UDF, joining the parties was part of a survival strategy forced into existence by environmental degradation caused by Apartheid. The level of strategic interest varied between actors. For the rival political parties in KwaZulu-Natal there was no strategic interest beyond their own regional sphere of influence. For South Africa, however, the level of strategic interest was high because it had a hand in the creation and maintenance of the political system in Kwa-Zulu, and it was interested in the conflict due to its strategic implications for the welfare of the country as a whole afer Apartheid was dismantled in the 1994 elections. The elections of 1994 heralded the end of Apartheid and, for the most part, the area proceeded to see an end to violence. 2. Smith, Craig-Hison. Supporting Communities Affected by Violence. 149 pg. Oxfam Publishers. Oxford, UK. 2002. 3.Hamilton, Georgina & Mare, Gerhard. An Appetite For Power: Buthelezi's Inkatha And South Africa. 261 pg. Indiana University Press. USA. 1988. 4. Percival, Valeria & Homer-Dixon, Thomas. Social Effects of Environmental Scarcity. Peace & Conflict Studies Program. University of Toronto. 1995. All images taken from United Nations and South African government sources. Map of the "Black Homeland" boundaries in South Africa. Seen are the states that make up the Republic of S.A. (Cape, Orange Free State, Natal, etc) and then the colored areas indicate the boundaries of the self-governing "Homelands". Important to note is that the reserves allocated for the Black Homelands was located within Natal, and did not take up the whole state. The Natal City of Durban was considered a "white/colored" city and the Black townships were in the "Kwazulu Homeland" in the rural areas of Natal. 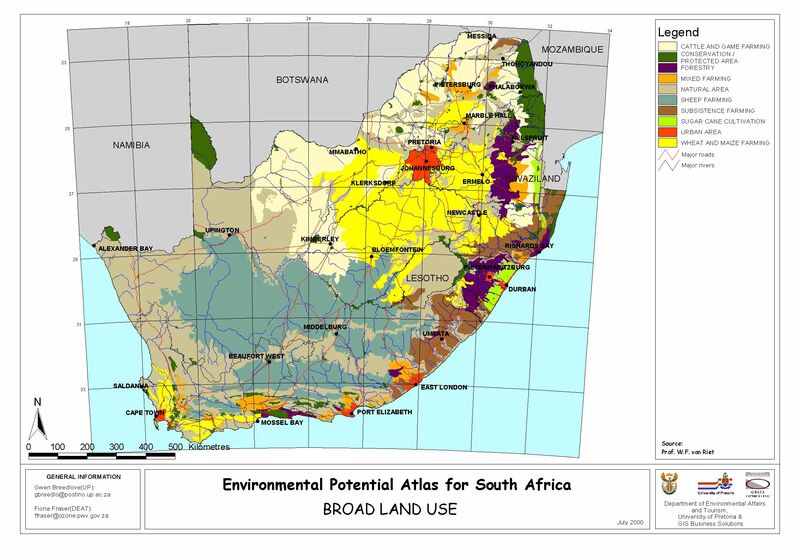 This map shows the state of actual erosion in South Africa, with severe degradation having already occured in the KwaZulu-Natal region. 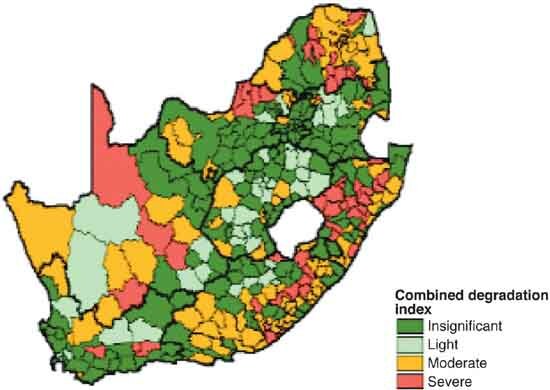 Correlated with the land use map, there is a visible connection with the practice of subsistence and commercial farming and the appearence of the most severe form of degredation in KwaZulu-Natal.